battenfeld-cincinnati (Bad Oeynhausen/Vienna) recently received a major order for a total of 24 extruders from Wuhu Conch Profiles and Science Ltd., located in Anhui/China. The powerful extruders with diameters between 63 and 93 mm and outputs ranging from 70 to 380 kg/h have already been in operation since the middle of this year. With this expansion of its machinery and equipment, the world’s largest window profile manufacturer has increased its PVC processing capacity to more than 700,000 tons per year. The current demand on the Asian market for continuously higher quality standards in end products are increasing the pressure on processors. Through the integration of components with superior process technology and wear resistance properties from Europe, Wuhu Conch was offered a package tailored to fit its needs. This most recent major order from China confirms the wisdom of battenfeld-cincinnati’s decision to be present in China with a pro-duction facility of its own, which was built up step by step in the past. This was the decisive motive for Wuhu Conch in their choice of supplier. In this way, the customer can be sure to receive com-ponents manufactured to the high European standards of process technology and wear resistance. 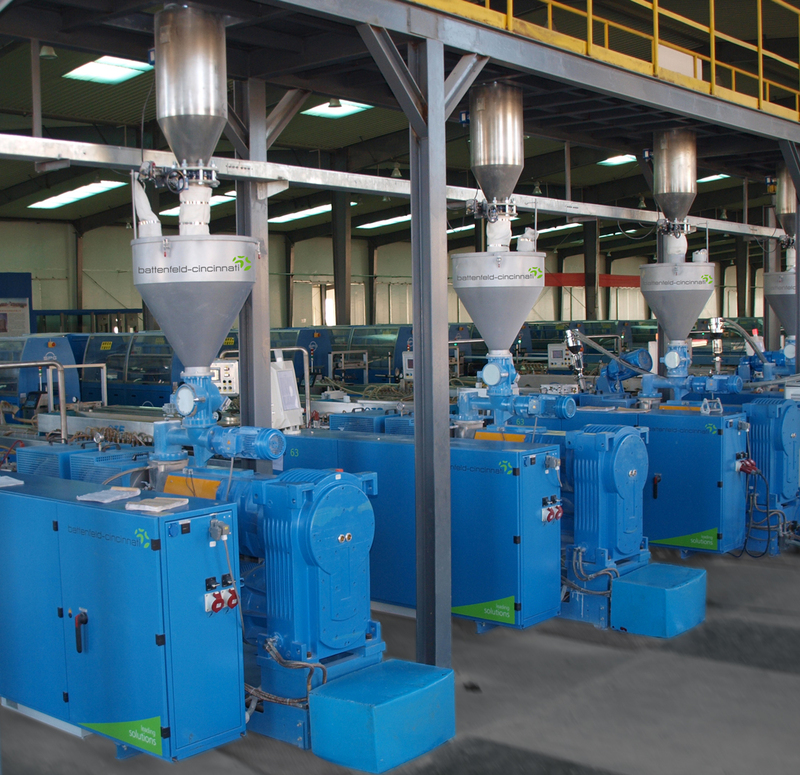 battenfeld-cincinnati Extrusion Systems Ltd. in Foshan, China, assembles all extruders using core components manufactured in Austria and Germany. A specially trained service team provides after-sales support to the processor after the machines have been installed, to ensure trouble-free production start-up. The machine manufacturer’s local presence also enables a fast, uncomplicated spare part service. 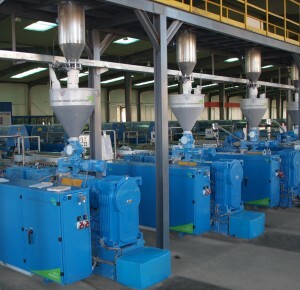 The battenfeld-cincinnati group with production facilities in Bad Oeynhausen and Kempen (Germany), Vienna (Austria), Shunde (China) and McPherson (USA) ranks among the leading manufac-turers of energy-efficient, high-performance extruders and com-plete extrusion lines according to customers’ specifications. The company is organized in three product-oriented Divisions across all manufacturing sites: Infrastructure (PO pipes), Construction (PVC pipes and profiles, WPC applications, PVC sheet) and Packaging (non-PVC sheet, pelletizing, calendering and lamination equipment). battenfeld-cincinnati’s customers benefit from the group’s exten-sive global sales and service network.